Tour clients are meet hundreds of foreign women during singles tours in any city they desire. Foreign Affair has developed and gained a respectable reputation out from the excellent services it has offered to beautiful foreign women. Their attractive qualities are what make them ideal partners for life. Our foreign women seeking marriage have been interviewed and screened personally by our staff to ensure that they have no ill-intentions and malicious motives. Women in Foreign Affair share a desire to love and date serious men and commit to serious relationships or marriage. We hold thousands of profiles ranging from European women, Asian women, and Latin American women and there is one thing for certain -they all want to meet you! Our foreign singles have not just physical attractive qualities, but also have intelligence and passion. Dating foreign women not only allows you to reach out to diverse range of partners, but also to expand yourself to new experiences. Love, affection and desire are all main characteristics of women in Foreign Affair. 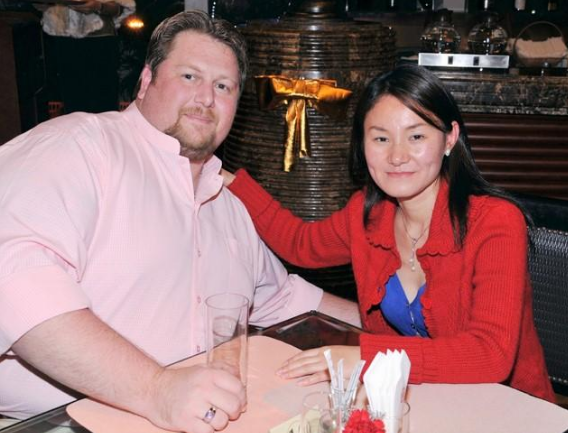 Dating foreign women could be the romantic opportunity you&apos;ve been searching for. Our best foreign matchmaker and marriage agency gives you the option to date and meet these women in person. Through our singles tours, group dating tours and online matchmaking services, you can meet the woman of your choice here with us. We also offer various methods for you to know how to meet women in Foreign Affair and to communicate with them as well. You can register now for free and start your romantic experience with us. By attending singles tours, clients get to meet hundreds of European women. European Women in Foreign Affair are both stunning and intelligent. It&apos;s without a doubt that they are some of the world&apos;s most sought-after brides for their beauty and brains. It&apos;s clear that they easily attract foreign men with their physical qualities and alluring accents. These women are most known for their vast capabilities in romance and for loving their partners beyond limits. Not only are they beautiful, but they are also quite serious when it comes to relationships. They don&apos;t like fooling around and take dates very seriously. It takes more than just words to get these women to fall for men. It would take you to give serious efforts and dedication to prove to them that you are worthy of their love. They may seem conservative and reserved at first but progressively, European women are sure to cozy up and feel more comfortable around you. With us, you can be on your way to meeting European women today. It&apos;s hard not to notice Latin American women with their natural attractive qualities. With their good looks, sun-kissed skin, and fiery personalities, they make not only great lovers but jolly wives as well. The reason why these ladies make some of the world&apos;s most sought-after brides is the fact that they naturally know how to love their partners. Caring and affection come naturally to Latin American women. From their upbringings and traditions, they learned from a young age how to properly love the ones they care for. Foreign Affair&apos;s Latin American women are exotic and elegantly beautiful. They are fit to become wives and serious romantic partners. Their bubbly and fierce quirks make a day with these women an exciting one. They&apos;re not just stunning on the outside; they are also smart and clever. Their confident and vibrant personalities are what make them interesting for any type of man. Get to meet these exuberant group of ladies with us here in Foreign Affair. Get to know how to meet women in Foreign Affair who are all eager to meet you in search for love and marriage. Browse through our profiles and choose a Latin American woman you would like to meet and date today. Tour clients introduce themselves to different Asian women through our group singles tours. Asian women are sought after for their exotic beauty and rich culture. They have been raised from a young age to become independent and disciplined which stem from traditions they have been taught by their loved ones. They are not only elegant but are also natural lovers. They know how to look after their partners and families. With any need they may have, Asian women surely know how to handle them with grace. Their patience and understanding top around the world. Though, unlike in most Westernized countries, divorce is something that they look down upon. Women in Asia are fierce and strong when it comes to love. They are seriously committed to their lovers or husbands and would fight for the relationship than to simply give up. They are taught from their elders to love and respect those they care for no matter what. That&apos;s what makes our Asian women ideal wives, the way they put others before themselves.